This is Winchester 40 S&W Ranger 180gr. Sub-Sonic Hollow Point Ammo. This ammo has a 180gr. Winchester hollow point bullet and travels at 1060 fps. If you have a suppressor this is the ammo for you. 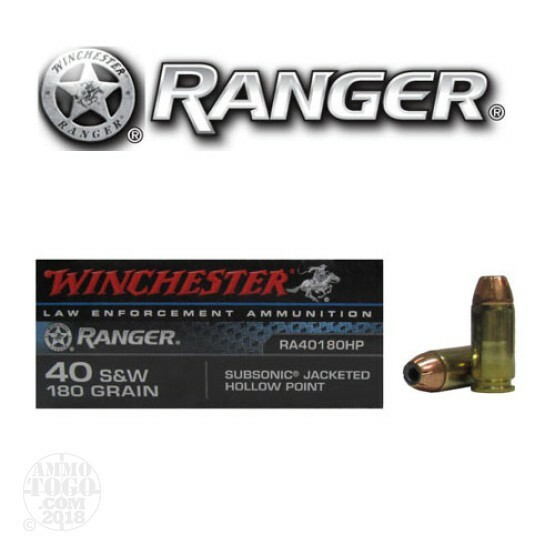 This ammo is typically used in entry weapons with silencers, but it will work in any 40 S&W weapon. It comes packed in 50rd. boxes.